Nintendo of Europe has announced that the Nintendo Selects range for Wii U will shortly expand with four more titles. That will see Captain Toad: Treasure Tracker, Pikmin 3, Super Mario 3D World, and Mario Party 10 become the latest additions to the range, presenting a chance for players to discover games that they may have missed the first time around. These rank among the console’s most popular games, with Nintendo sharing that they have collectively sold more than 2 million units across Europe to date. 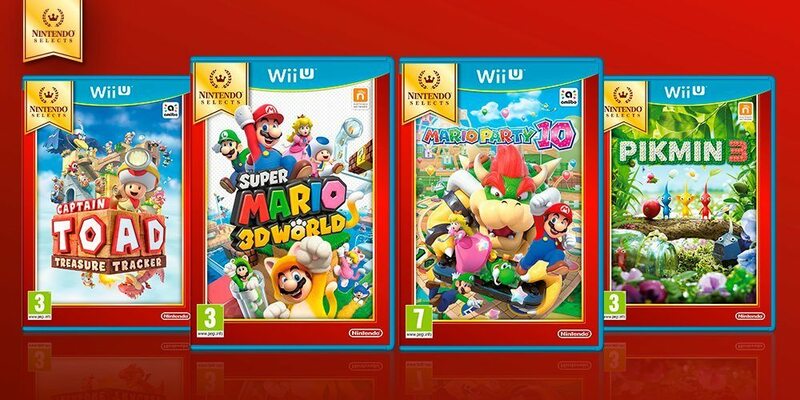 Captain Toad: Treasure Tracker, Pikmin 3, Super Mario 3D World, and Mario Party 10 will join the Nintendo Selects range in Europe on September 30th.